POLICY: It shall be the policy of the Cass County Sheriff's Office to allow certain citizens the ability to ride-along with Deputies from the Patrol Division of the Cass County Sheriff's Office. PURPOSE: The purpose of this policy is to create positive public relations with the community, and accountability to the community through openness of patrol activities. The individual must be at least 18 years of age, a citizen of the United States of America who has no disabilities or injuries that would prevent them from being able to escape from danger. The individual must complete in full and sign in the presence of a Cass County employee, an application for the ride-along program and a release, prior to each ride-along. The individual must have both a criminal history check and a driving record check performed and attached to the application for the ride-along program. The individual must have no previous felony or serious misdemeanor convictions and shall not be charged with, or under indictment, for any felony or serious misdemeanor. The individual must show a photo identification that is issued by a state or federal government agency, and must provide a valid physical address that can be verified. Civilians in the ride-along program shall be limited to participation in a ride-along no more than three times per year and no more than one time in any thirty day period. 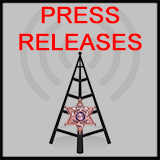 News media personnel will not be limited on the number of times they are allowed to ride; however, all news media ride-along events must receive prior approval from the Sheriff or Captain. Law enforcement officers from other jurisdictions will not be limited to the number of times they may participate in the ride-along program, however, each instance must receive prior approval per this policy. Cass County Sheriff's Office employees will not be limited in the number of times they may participate in the ride-along program, however, each instance must receive prior approval. College students participating in an internship program will not be limited in the number of times they may participate as a ride-along, however, each instance must receive prior approval. 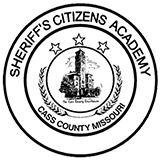 Any Licensed Law Enforcement Officer or Cadet of a recognized Law Enforcement Training Academy, who is entering, or has entered, the process for employment at the Cass County Sheriff's Office, may go on an unlimited number of ride-alongs with the Cass County Sheriff's Office Recruiting Officers, unless disqualified from the employment process for any reason prior to employment with this agency. 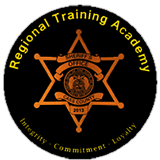 The Recruiting Officers will contact and notify the respective academy for those requesting a ride-along and which are attending a recognized Law Enforcement Training Academy. All requests for a ride-along will be forwarded to the Patrol Lieutenant, or a Captain, for approval and assigned to a Recruiting Officer by the Patrol Lieutenant, or a Captain. Each ride-along requires a separate request, approval, and, if applicable, notification of the respective Academy. Generally, female participants will only be allowed to ride with female Deputies and male participants will only be allowed to ride with male Deputies. Upon all of the minimum qualifications being met and the application and liability waiver being signed by the participant, and appropriate background checks being made, the entire packet will be sent to the Patrol Sergeant for review. The Patrol Sergeant will then review the application and all appropriate documentation, based solely on his absolute discretion, as to whether the ride-along event is approved or denied. Upon making his recommendation, the Patrol Sergeant shall submit a copy of the application and all other applicable documentation to the Patrol Lieutenant or other Lieutenant or Captain for final approval, or authorization to deny a request. The applicant must submit an application at least one-week prior to the time they desire to ride-along. The Patrol Lieutenant or other Lieutenant or Captain should make notification by phone to the applicant as soon as possible after the final determination has been made whether a ride-along event is approved or denied. All participants in the ride-along program will wear casual slacks or neat jeans, and a shirt with a collar. Dresses, Skirts, T-shirts, shorts, sweats, or any article of clothing displaying any rude or offensive logos are expressly prohibited. Shoes should be comfortable with a non-slip type of sole (no high heels.) All tattoos will be completely covered. Participants in the ride-along program should bring with them appropriate protective clothing for applicable weather conditions. The Patrol Lieutenant, other Lieutenant, or Captain, will leave the ID card for the ride-along participant with the shift supervisor prior to the shift that the individual will be riding. The Participant shall report to the Patrol Sergeant or Shift Supervisor at the Sheriff's Office prior to the beginning of the desired shift, and are normally expected to ride the entire shift. (This is to cause as little inconvenience as possible to patrol personnel; exception to this will be evaluated on a case by case basis.) The shift supervisor will determine if the participant will be allowed in the pre-shift briefing. The shift supervisor will also make the final determination of who that participant will ride with. The participants will not represent themselves as law enforcement in any form either verbally or visually. The host Deputy shall notify communications that they have a civilian rider when they go in service any time they have a participant riding with them. Communications will enter the participant into the dispatch C.A.D. as "RA1", "RA2"' or"RA3" along with 10-41 or 10-42. This will automatically generate a status entry where the participant's name will be entered in the description field. The status entry will then be sent to the dispatch C.A.D. as any other status entry. The status entry time may be amended as needed. The participant will at all times obey the commands and/or directive of the host Deputy and all Deputies of this agency. The participant will not use the radio, except in cases of extreme emergency. (Commissioned employees and dispatchers may use the radio at the discretion of the host Deputy.) The host deputy will determine when a participant is allowed to exit the vehicle in any instance, or incident, unless the participant is a law enforcement officer. The host Deputy shall have the authority to suspend a ride-along at any time, and transport the participant back to the Sheriff's Office. The Deputy shall notify the shift supervisor at the earliest possible convenience and explain the reason to terminate the participation. Participants shall not become directly involved in any law enforcement activity unless specifically requested to do so by the host Deputy or in cases of extreme emergency, at their own discretion. Deputies who are on probation as an initial hire or on probation for disciplinary reasons will not be allowed to have a participant ride with them in the ride-along program. Deputies recently promoted and who are on probation from the promotion will be allowed to have ride-along participants. Participants may not be on private property against the will of the owner and shall not participate in any search warrant. The privacy of victims and/or suspects should be respected by the participant. Safety of the participant shall be paramount to the host Deputy at all times, especially when using their discretion as to whether or not to allow the participant to exit the vehicle or to initiate a hot or fresh pursuit of another vehicle. Participants shall properly wear their seat belt at all times while the vehicle is in motion. The host Deputy shall notify participants that anything they observe is of a confidential nature and shall not be freely discussed outside of the Sheriff's Office. Any injury to a participant, no matter how slight, shall be documented and the shift supervisor shall be immediately notified. The shift supervisor shall insure that the injury is examined by an emergency medical care provider and is completely documented, including photographs when applicable.